PSDs act as barriers between the platform and the tracks and help prevent untoward incidents and Installed in sync with Metro coach doors, PSDs open only after the train stops. upcoming underground sections. PSDs act as barriers between the platform and the tracks and help prevent untoward incidents. Unlike other Metros in the country, Namma Metro has not recorded any untoward incident, except one in 2012 when a 17-year-old boy threw himself on the track at the MG Road station. Metro rail corporations in Delhi and Chennai have already installed PSDs, which also keep platforms cooler by preventing the air generated by ACs from flowing into tunnels. Installed in sync with Metro coach doors, PSDs open only after the train stops. has seen a steady rise, with footfall touching the 4-lakh mark in a single day. These PSDs could also generate revenue as the panels can have advertisements. 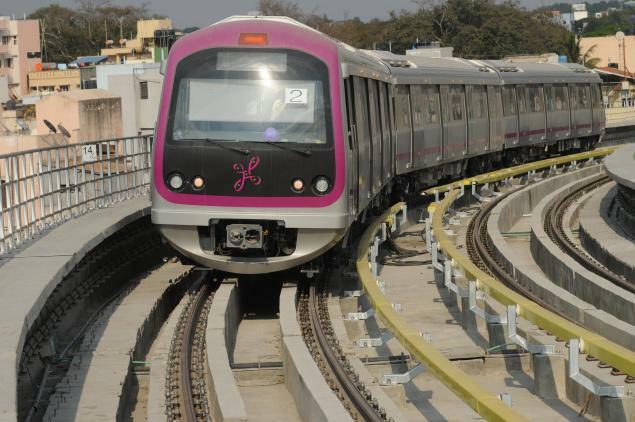 BMRCL spokesperson BL Yeshwanth Chavan said they are thinking of setting up PSDs at 12 underground stations in Phase 2. “These PSDs will help reduce air-conditioning costs at underground stations. However, we have not taken a decision on installing them in the existing ones as they are expensive.” According to BMRCL, the 72km Phase 2 is likely to be completed by 2023. Many passengers welcomed the proposal. “It’s high time these glass screens are introduced, at least in crowded stations like Byappanahalli and Kempegowda (Majestic). Security guards at Metro stations find it difficult to manage the swelling crowd, particularly during peak hours. PSDs can prevent accidents, especially when stations are extremely crowded. They will make commuters feel more secured,” said Arun Kumar, a Metro user. However, a BMRCL source said they are mainly looking at installing PSDs at underground stations. “Compared to the underground ones, elevated stations have enough space to handle crowds. Also, the elevated stations have no airconditioning,” an official added.